On Sunday 22ndApril 2018. Joyce Connor professional Make Up Artist had her rebrand party at the fabulous new spa, Thames Lido in Reading, Berkshire. There was champagne and nibbles on arrival, followed by networking. The event was sell out success and everyone that attended left with a goody bag filled with make up! 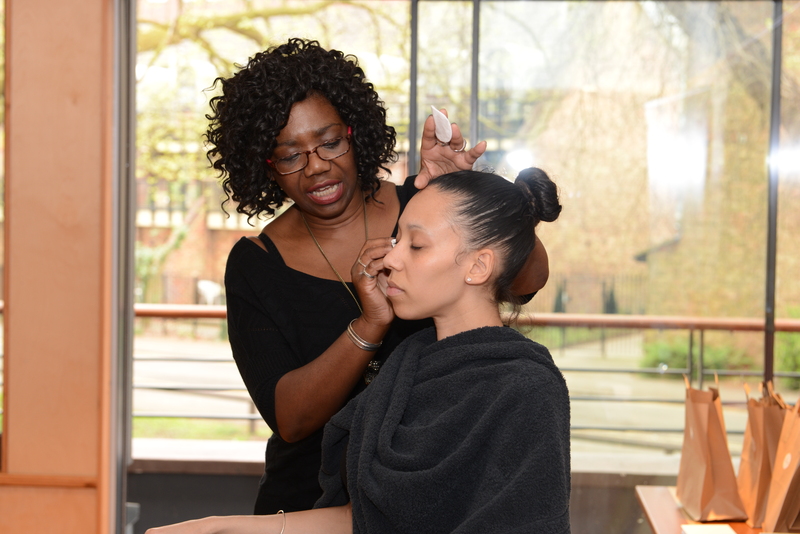 During the afternoon Joyce did a full make up demonstration to show how to apply make up and talk about the launch of her new make up workshops that will be held in Reading, Berkshire. The make up workshops will be for beginners and those who wear some make up but don’t quite know how to use what they have. The make up workshops will start in June 2018. Guests at the party were other business owners and make up artists, Joyce’s clients and friends. She had tremendous support from the local community and beyond. As a surprise to the guests Joyce gave each one a raffle ticket on arrival and 10 lucky people won a bag of gorgeous goodies from Chanel, D&G, Lancôme and many other high end brands to name but a few. One lucky individual had a golden ticket under her seat and won a place on one of Joyce’s Make Up workshops.